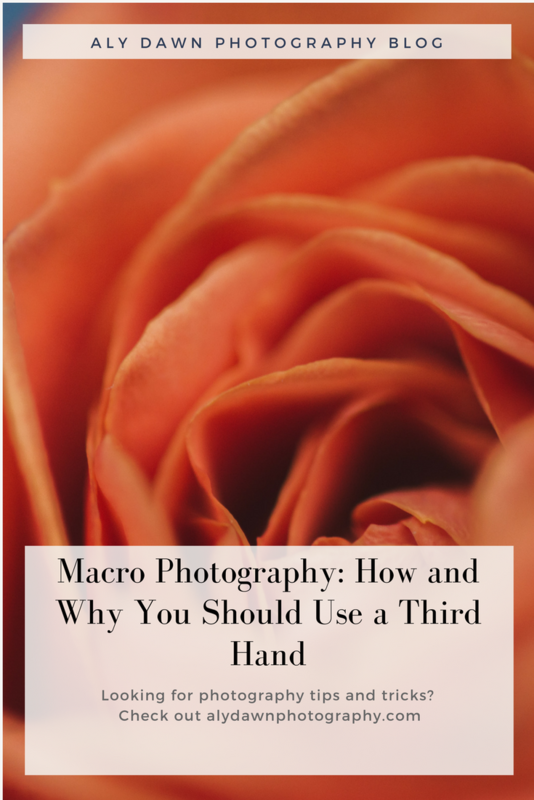 If you follow my blog at all, you know how much I love using a third hand in my macro photography work. 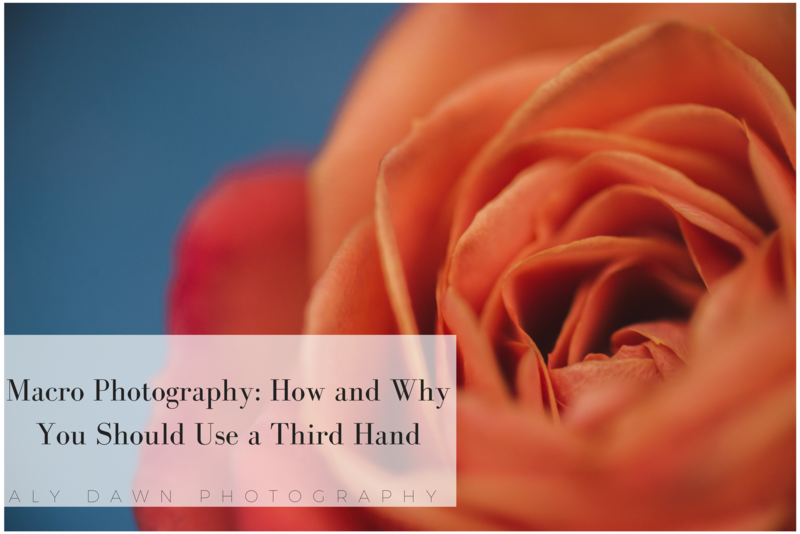 Using a third hand is useful in many ways, including, it gives you the freedom to pose your flowers the way you want. It allows you to have whatever background you want (more on that later!) and it also allows you to isolate your flowers. For these reasons alone, you should buy a third hand. They are so handy (pun intended) and I love mine! Also, it’s very affordable. This makes it the perfect gift for photographers. The holidays are coming up, so make sure you get one for yourself or a fellow photographer friend! First of all, what is a third hand? It’s this fancy little metal thing that allows you to clip things on it. It has two on each end. My third hand came with a magnifying glass that I just removed (it can get in the way, but it’s really easy to remove!). Once you have your third hand, and a bundle of flowers (I buy mine from Kroger, but I may one day upgrade to something else), you’re ready for the setup. The image below is nothing fancy, I just really wanted to show you how I set up my shots for macro. I have a nice white table (find one similar here) that I took the legs off of and then for added effect and color, I used a scarf I had laying around. That’s one nice trick to do. 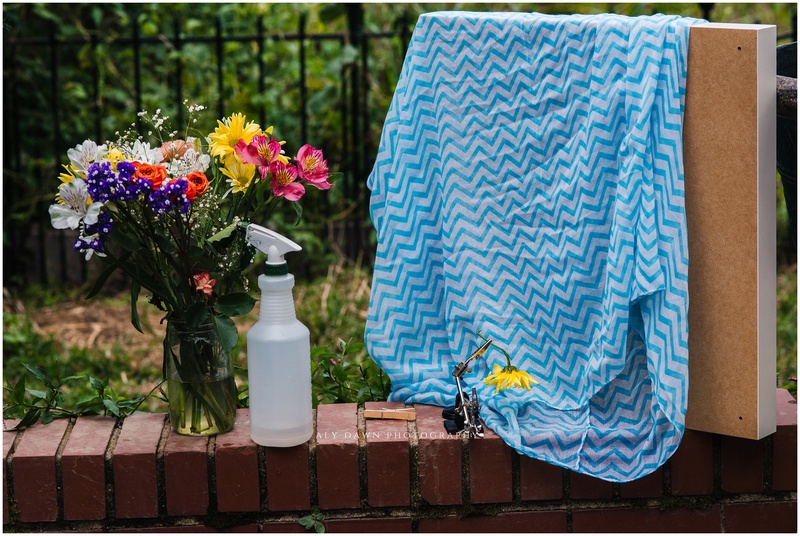 Use a scarf, a shirt, fabric, anything that can add color to your macro image. You can see my setup in the image below. So with a third hand, you don’t have to keep the flowers upright. You can get creative to get different type of shots. Turn your flower upside down. Have it far away from your background, or up close. The third hand is great because it can also be placed on ledges and wont fall off. I really really love the third hand, if you can’t tell. It allows you to get such amazing images at such a small price. Having a third hand will make your life easier. Who wouldn’t want that? So, do yourself a favor and go order one now. 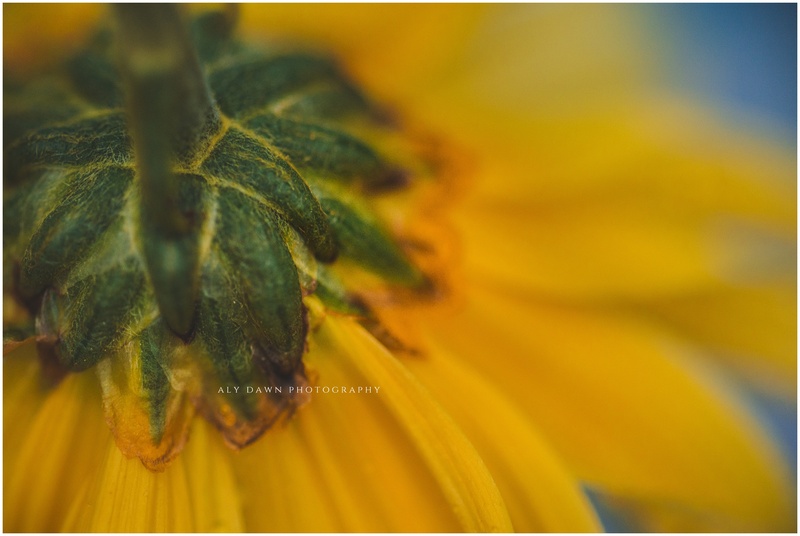 Your macro photography will thank you for it. 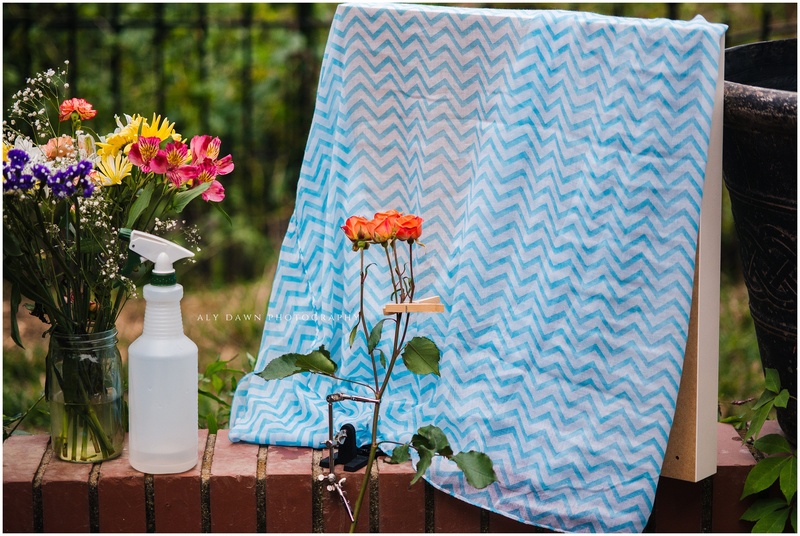 Get creative and see what you can do with it. 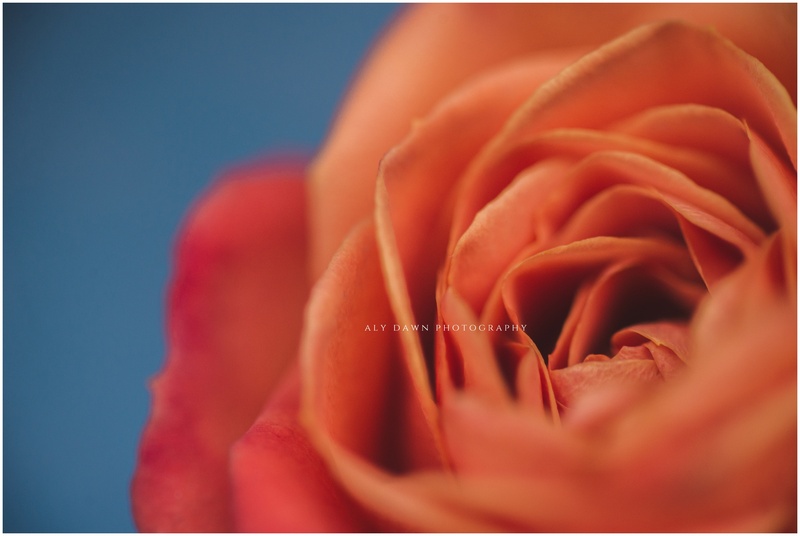 What questions do you have about macro photography? Comment below! Hi Alyssa, Great tip on how to use a common clothespin as an aid. You;re readers also might want to know about the Wimberley Plamp: https://www.better-digital-photo-tips.com/review-of-the-Wimberley-Plamp-II-macro-clamp.html.